FLEETWOOD MAC: RUMOURS: 1977: 5 STARS OUT OF 5 STARS: THE pop album of the late 70’s. All the members of the band were in personal relationships turmoil within the group- and they come up with their most acclaimed album- instead of breaking up. Ranking the songs in order of greatness 1-Go Your Own Way 2- Don’t Stop 3- Dreams 4-Second Hand News 5-You Make Loving Fun 6-The Chain 7-Never Going Back Again 8-I Don’t Want To Know 9- Songbird 10- Gold Dust Woman 11- Oh Daddy. Is on the 1001 albums to hear list. 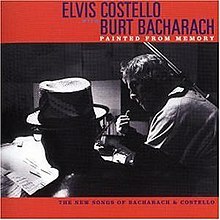 ELVIS COSTELLO & BURT BACHARACH: 1998: 4 STARS OUT OF 5 STARS: It made sense that Elvis would make an album someday with Burt Bacharach- being a lover of all kind of music- this was a period where he seemed to be the new wave ambassador to easy listening. Best song – Toledo. A good album. His most recent album- he wrote some songs again with Bacharach-who turns 91 in May. What an impressive career Bacharach has had- scores of hit songs -his most impressive accomplishment may be being married to Angie Dickinson. I just checked she’s still living also- 87. MICHAEL JACKSON: OFF THE WALL: 1979: 5 STARS OUT OF 5 STARS: His first big album as an adult. The album before “Thriller”- it was big at the time but has been overshadowed by the colossal that is Thriller. 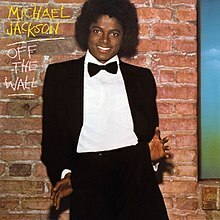 Off The Wall sold 8 million in the US and received universal acclaim. With 4 hit singles in the Top 10 became the first solo artist to have 4 top 10’s off of one album. On the 1001 albums to hear list. 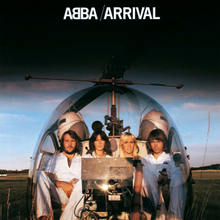 ABBA: ARRIVAL: 1976: 4 1/2 STARS OUT OF 5 STARS: Abba is mostly known for their great singles- not their albums. This may be their best album. Dancing Queen- probably their greatest hit chart wise- and most famous song- Knowing Me, Knowing You and Money, Money, Money were all hits. The album went to #1 in the UK but only #20 in the US. A group that has become bigger since they retired than when they were active- and they were a big pop group in the 70’s. Back then I wouldn’t admit to liking them- today- yes I love Abba! Arrival is on the 1001 albums to hear list. THE TEMPTATIONS: CLOUD 9: 1969: The Temptations first album with Dennis Edwards replacing David Ruffin. The album is also the first album in what would be four years of The Temptations delving into psychedelic soul. They do a cover of I Heard It Though The Grapevine-which a year after Marvin seems kind of a silly thing to do. A good album though- the hits on it were- Cloud Nine #6, and Run Away Child, Running Wild also #6, the album did even better #4. On the 1001 albums to hear list. 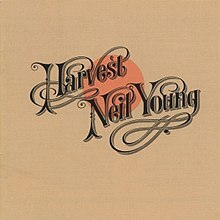 NEIL YOUNG: HARVEST : 1972: 5 STARS OUT OF 5 STARS: Neil’s fourth solo album and his big commercial break though the album went to #1 and he had of all things a #1 hit single in Heart of Gold. It was the best selling album in the US in 1972. Old Man peaked at #31- he had some guest stars on the album- James Taylor, Linda Ronstadt and those Crosby, Stills and Nash fellas. On the 1001 albums to hear list. That’s quite a day of music – all good selections! This was kind of nostalgic. I remember as a kid just constantly staring at awe at the ABBA LP record. Something about them sitting in the helicopter just blew me away as well as the music of course. there were a lot of interesting album covers at that time- now a days not so much so. I looked at some websites saying ‘Best covers of 2018’ and also ‘Worst Covers of 2018’ Often exactly the same. Probably Bowie’s Black Star cover is the latest iconic cover I have, although a prog sampler ‘Dressed in Kingly Guise’ with a skeleton in regal clobber works well. I am going through Neil’s albums again- yes he made sure the next few were a little more rocky LOL. No #1 singles on any of those! Wore two of those albums out. I am guessing Rumours and Harvest?